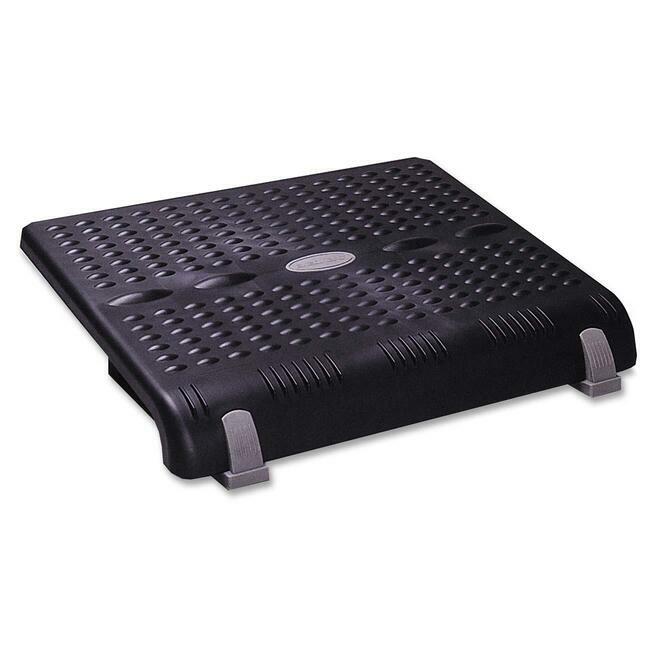 Adjustable footrest offers six height adjustments from 5" to 14" and nonskid rubber feet in front. Includes a special textured surface that relieves fatigue. Footrest is made of heavy-duty plastic.